Hertha Berlin have almost a full squad to choose from on Sunday. Official Fantasy Bundesliga Managers take note: bundesliga.com is on hand to provide likely line-ups as well as injury and suspension news ahead of Matchday 12. Get your Official Fantasy Bundesliga squad in shape for Matchday 12 here! 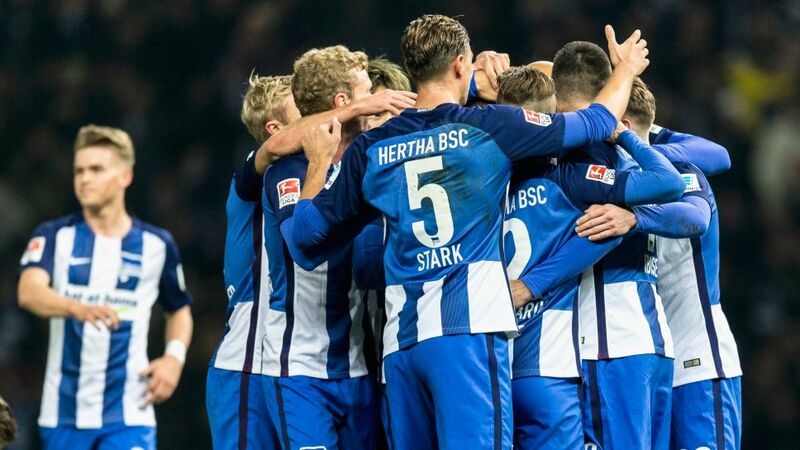 High-flying Hertha Berlin have almost a full squad to choose from as they look to extend their 100 per cent home record. Norwegian midfielder Per Skjelbred tore a muscle in training midweek and will be replaced by Fabian Lustenberger in the starting line-up. Mitchell Weiser failed to shake off a thigh strain in time for the match and will miss out. Vladimir Darida has recovered from an ankle injury but will start on the bench. Coach Martin Schmidt is expected to make several changes to his 1. FSV Mainz 05 side following their Europa League exertions midweek. In-form Yunus Malli is suffering from a cold and may be rested alongside Pablo de Blasis. Schmidt will have to reshuffle his defence with both Stefan Bell and Daniel Brosinski suspended after both collected their fifth booking of the season in the 4-2 victory over SC Freiburg last week. Hertha Berlin host 1. FSV Mainz 05 at the Olympiastadion, with the game kicking off at 17:30CET/16:30GMT on 27 November.